Window Replacement Des Peres. When the windows in your Des Peres home just aren’t fitting the design you have in mind, and you want an incredible window replacement service in Des Peres, call BHI, we have the window options you need. We provide an incredible selection of window replacement and window installation options that you can choose from to customize your Des Peres home, whether you want to change the style of your windows, the size, the color or another feature, we have the options you are searching for. If you’ve decided its time to update your windows to a more energy efficient and appealing brand, call or contact BHI now! BHI is proud to work with great companies such as ViWinTech, Vista Window Company and Great Lakes to offer quality windows. If your Des Peres home needs replacement windows or windows for new construction, BHI can help! Types of windows we offer include Double Hung, Sliding Windows, Bay/Bow, Awning, Casement, Hopper, Picture and Specialty Windows. Great Lake’s premium products are made using state-of-the-art technology, modern equipment, and cutting edge operational techniques. The strength of their parent company, Ply Gem, with over 70 years in the industry, gives Great Lakes more solutions for crafting incredible window and patio door options that provide greater performance, design, function and ease of use for Des Peres residents. Vista’s windows and patio doors are second to none, and with good reason. Vista has quickly grown to become one of the largest window manufacturing companies in America, and all of their windows and doors are custom-made with a wide range of available options, guaranteeing the perfect fit for both your home and your budget. Aesthetically designed ViWinTech windows and doors will provide lasting energy savings, comfort, and enhance the value of your home. ViWinTech backs its state of the art products with a Lifetime Limited Warranty, one of the best in the industry. Today, ViWinTech proudly serves 28 plus states and is consistently listed in the top 100 window manufacturers in the United States by Window & Door Magazine. 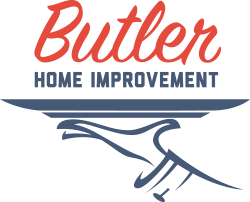 Ask Butler Home Improvement about other features that make our window offerings the perfect way to enhance your Des Peres home’s beauty as well as your home’s investment. We serve St Louis, St Charles, O’Fallon, Collinsville, Edwardsville, Belleville, and the surrounding areas with window replacement and installation. Give us a call at 618-344-7073 today! Current Windows Installed – Older homes may have windows installed that are built into metal frames or surrounded by plaster material and wire frames. Replacing older windows that have these issues can increase the labor hours used to replace your old windows and install new ones. We will tackle any window installation project! Our Window Installation and Window Replacement professionals in Des Peres can take care of your old windows. Which Floor the Windows are On – First Floor windows are the easiest to remove as they usually will not require ladders or structures to be built to support the window replacement specialists. Windows that are on second or third floors will be more difficult to remove, and this may affect the cost of the Des Peres window replacement project. Difficulty of Removing Old Windows – Older, less removal friendly windows can eat up construction times. They can be encased in steel frames, or be surrounded by plaster molded with wire frames. If older windows are difficult to remove and work around, this can increase the amount of time that is needed to complete the window replacement project. Where the Old Windows are Located – Windows that are easier to reach will be faster to remove and replace. Changes to Window Foundation for New Windows – If the foundation that your old Des Peres windows used needs to be altered to fit the new windows, this will increase the amount of time that is required to complete your window installation project. How Quickly you want the Project Completed – The timeline you may have in mind for your window replacement project directly affects the amount of time needed. If you want the project completed as soon as possible, this will affect the amount of time used. If your project isn’t under a time restricted plan, then the work can be completed at a pace that meets your needs. Your Des Peres home deserves amazing windows that bring life and light into your home. The Window Replacement and Window Installation services that BHI provides will give you exactly what your Des Peres home is needing for window solutions, window replacement products, window installation, and any other needs your Des Peres home may in regards to window services. When you are ready to change your Des Peres home’s windows, call or contact BHI.